Want this item tomorrow, Thursday 25th April? Order within the next 2 hrs 39 mins and choose Next Day Delivery during checkout. 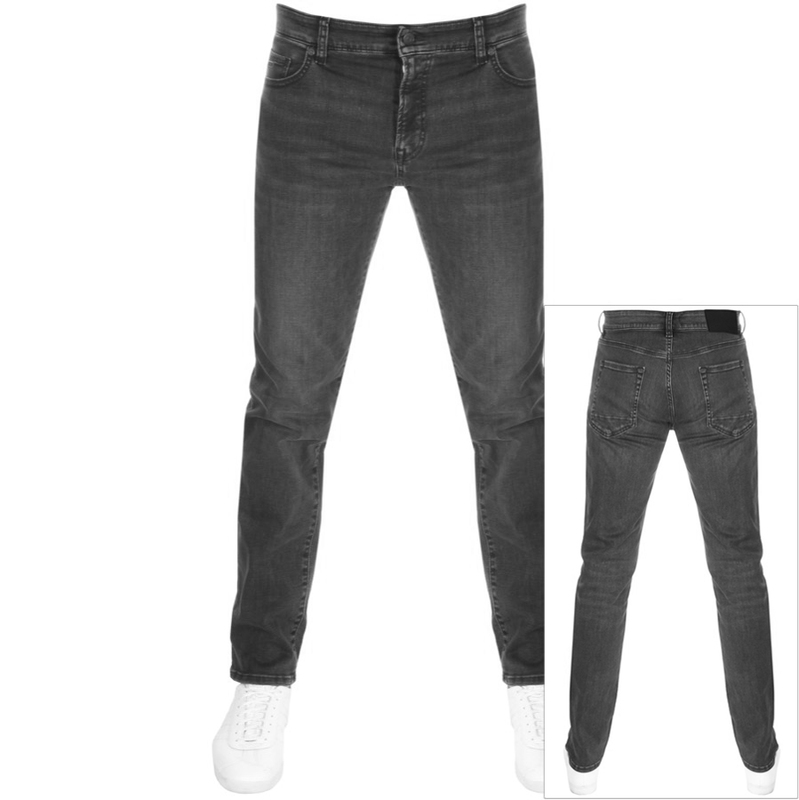 BOSS Casual Maine Jeans In Charcoal Grey Super Stretch Denim, Regular Fit. A zip fly with a matte black metal BOSS Orange logo embossed top button fastening and five belt loops on the waistband. Five pocket design with two pouch pockets on the front with a small coin pocket within the right pocket and two pouch pockets on the reverse with the left pocket featuring a deliberate worn design. The signature BOSS Orange metal logo is situated on the small coin pocket with branded metal rivets on the front pockets for reinforcement. The rubberised signature BOSS Orange leather logo patch is situated on the reverse right side of the waistband in black. Top stitched detail on all seams in black. 92% Cotton, 6% Polyester And 2% Elastane. Brand New BOSS Orange Jeans And Trousers Live Online.